Helping clients build, manage and protect their wealth is the goal of each member of the advisory team—financial/investment advisors, CPAs, attorneys and insurance agents. Estate planning is part of this larger process and, as a result, should be on each advisor’s checklist for every client. In this issue of The Wealth Counselor, we will examine how to help clients and prospective clients efficiently identify their concerns and anxieties that validate the need for estate planning and will discuss some issues that tend to arise more frequently than others or are sometimes overlooked by advisors. We’ll include some planning solutions used to address specific client concerns, how non-lawyers can benefit from the estate planning process, and some unique opportunities stemming from the tax law changes set to take effect on January 1 of next year. Odds are that a good number of your clients have not done any estate planning. Why? It’s simply easier to do nothing, and besides, who wants to think about dying or being incapacitated? However, this lack of action, if it persists, will probably benefit the client’s creditors and the IRS and hurt your client’s loved ones. What motivates clients to plan? Often a birth, a death or an upcoming trip is a motivator. Or someone they trust—a family member, friend or advisor—asks them about their planning. Usually, they know they need to do something, but they don’t know what to do or don’t get around to doing it. Most people want to pay as little as possible in taxes, keep control over their assets, and keep it simple. In some states at least, people also want to avoid probate. Beyond that, most people are a bit foggy. If they have never done any estate planning, they don’t know what to expect. If they have done some, they may only have a simple will. Also, it is not unusual for clients who have done some estate planning to not have had it reviewed or updated in years. Planning Tip: A client may have a will or trust that was prepared for a very small flat fee. In all probability, the attorney who prepared the document, if there was one, simply gave the client a “product,” that may or may not have been what the client actually needed and with little or no real consultation or advice. Right now, estate planning is a top of mind item for many Americans. Changes in the laws over the last several years—including HIPPA, changes in the estate and gift tax exemption since 1997, the 2010 tax changes, and the looming change in 2013 when the Bush era tax cuts sunset—help to get the message out. Financial advisors benefit in several ways when their clients do estate planning. First, it solidifies the relationship. Second, it provides an opportunity to establish a relationship with the heirs. Third, it presents an opportunity to gather together assets that may otherwise be spread out. A client is not required to disclose all assets to a financial advisor, but it must happen with the estate planning attorney. Fourth, there are multiple product placement opportunities, including key-man insurance, long-term care insurance and wealth replacement insurance for charitable remainder trusts and hard-to-divide assets. Fifth, the financial advisor who engages in the estate planning process with their client and an estate planning attorney will gain a fuller sense of the client and the client’s concerns. Finally, it is in the best interest of the client. Everyone needs some estate planning in place. Clients’ concerns fall into certain general categories—taxes, family, disability, creditors, business, post-death and financial. Having a checklist for clients to complete that covers these areas of concern will make them think about issues they may not have considered and will help them to communicate quickly and easily their greatest concerns. Each person involved in the planning should complete the checklist separately so that individual planning concerns can be identified. Estate taxes: Almost everyone is concerned about estate taxes, even those who needn’t be, because they hear so much about the subject in the media. However, the possibility of a changing estate tax exemption can be motivating and does provide opportunities for doing estate planning before this year ends. Capital gains taxes: Unfortunately, most clients do not call until after the sale, when it is too late to plan. If they do call before the sale, there are several planning techniques that can be implemented to postpone, spread out, or eliminate all or part of the tax. One is the charitable remainder trust (CRT), which is both conservative and proven. A CRT can be good for all team members involved— an annual Form 1041 for the CPA, retention of investable assets for the financial advisor, wealth replacement insurance for the insurance agent and legal advice and document preparation for the attorney. And, because the charity and the client benefit (and the IRS loses), there is much to like about a CRT. Income taxes: There is not much that can be done regarding W-2 income, except to possibly reduce FICA and adjust employment contracts. Investments, IRAs and 401(k)s do present some planning opportunities. For example, by leaving some of the IRA to charity, annuitizing some and buying life insurance, an asset that is subject to income and estate taxes can be converted to assets that are free from both. It is also useful to shift income into 2012 for higher bracket taxpayers because of the new surtaxes in 2013 under the Patient Protection and Affordable Care Act (0.9% on earned and 3.8% on unearned income). Planning Tip: If the estate is taxable (and more estates will be taxable if the estate tax exemption does revert to $1 million in 2013), the combined estate and income taxes on inherited qualified plans can take 60-70%—resulting in a need for additional planning. If clients are concerned about the investment income surtax, investments can be shifted. If they are concerned about interest expense, lending can be consolidated to take advantage of the current low interest rates. These are, without question, the areas in which many clients have their biggest concerns. Custodian for minor children: Many families with minor children have done no estate planning. At the least, they should have a will and name a guardian for their minor children. If no guardian is named by the parents, one must be appointed by the court. In most states a judge—a stranger who does not know the parents, the child, or their relatives—will have no idea who the parents would have preferred or absolutely not wanted to raise their child. On the other hand, if a guardian is named by the parents, the judge will usually go along with their choice. Beneficiaries’ creditors: This comes up quite often. Keeping a beneficiary’s inheritance in a properly designed trust can protect the inheritance from lawsuits and the beneficiary’s creditors, including an ex-spouse and divorce proceedings. Once the beneficiary owns the assets outright, which is what universally happens under a simple will, those assets are at risk, so only nominal inheritances should be left outright. Staggered distributions (for example, a third at 21, a third at 25 and the balance at 30) don’t help much because exposure events are as likely at one point in a beneficiary’s life as another. Ask the client, “At what age will your son/daughter no longer be at risk of divorce?” The creation of inheritance trusts provides good justification for the advisor team to meet with the next generation to talk about why this planning was put in place. While one hopes asset protection is never needed, its need has become more of a probability than a possibility; accidents and lawsuits can and do happen at any time. To be effective, asset protection planning must be done ahead of time, before it is needed. Fiscal immaturity/mismanagement: For a beneficiary who lacks financial maturity or has previously mismanaged his/her own finances, the services of a corporate trustee or someone who can provide investment guidance will be desired. Planning Tip: For the client with a large IRA, leaving it to a special IRA trust can secure both tax deferral and asset protection benefits for the inheritor. Children-in-law vs. grandchildren: Many clients haven’t even considered the following possibility. They leave assets outright to a married son or daughter who dies leaving everything to their spouse. That surviving spouse then remarries and may have a second family. If the surviving spouse, too, leaves all to their current (new) spouse, the client’s grandchildren may receive nothing of their grandparents’ estate. Most clients overwhelmingly prefer that their grandchildren get what is left of the inheritance instead of it going to their son- or daughter-in-law’s new spouse. Planning Tip: For clients who want to provide for the education of their grandchildren or protect their grandchildren’s inheritance from mismanagement by a parent or other individual, a corporate trustee is often the best choice. Keeping a beneficiary eligible for Medicaid and other benefits: This is either not a concern or a huge concern. It is critical to do this planning correctly; there is usually no fix if it is done incorrectly, which can cause the beneficiary to become ineligible for government benefits. Spousal control after death: This is a big issue for blended families and those that may become blended, but it should be an issue for everyone. Clients in long-standing marriages who don’t live in a retirement community haven’t considered remarriage, but many surviving spouses do develop new relationships after the death of a spouse. When assets are owned jointly, whoever dies first gives up control of those assets to the surviving spouse—who can now do whatever he/she pleases with them. Planning Tip: The client may not want their spouse to be the primary beneficiary of an IRA or 401(k). Leaving it to an IRA trust means keeping control of the asset, often without significantly affecting the income tax deferral opportunity. Family disputes: Naming all or none of the children as trustee may be undesirable when it appears likely that there will be disagreements or disputes after the parents have died. 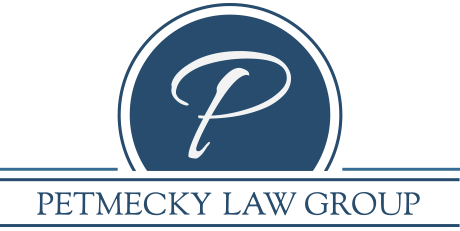 The best choice in such cases is a corporate trustee, an objective third party that can take this responsibility off the children and help prevent deterioration of sibling relationships. Hard-to-divide assets: Often a client will have a substantial asset, like a business or vacation home that would be difficult to divide among the children. For example, it may make sense to leave a family business to the one child who works in it, but often there are no other assets of significant value for the other children. In these situations, a life insurance policy can provide liquidity with which to compensate beneficiaries for that kind of inequality. Large life insurance policies, of course, should be owned by a trust to avoid estate tax liability. Planning for parents: A number of clients will be concerned that their parents will need their financial assistance, which might not be available if the client were to die prematurely. With people living longer, most of our parents will spend some time in assisted living facilities and some will need to qualify for Medicaid. Leaving assets outright to parents, even if they are currently in good health, is not recommended because the assets could be lost to nursing home expenses in the future. This planning would be similar to that for a special needs child. Planning for pets: This is another area that is either a non-issue or a huge concern as their pets have become like children to many clients. Health care documents: Although HIPAA has been in force for several years, many clients still need to update their health care documents to comply with HIPAA regulations. Otherwise, doctors and other medical professionals will not have permission to discuss the client’s medical condition and records with the loved ones and other individuals that the client may desire. Without this authorization, medical professionals are not allowed to discuss a competent patient’s condition with others, even family members. Clients also need a Health Care Durable Power of Attorney (or Health Care Proxy), in which they name someone to make health care decisions in the event they are unable to do so themselves. And, despite all the publicity of the Terry Schiavo case, many clients still have no living will. Guardianship: Clients need to consider the possibility of their needing a guardian at some point. While a guardian of the person (also called a conservator in some states) must be named by the court, the client would undoubtedly want to (a) have some input into whom the judge appoints to oversee his/her care and (b) make known specific requests, such as receiving care in a certain assisted living facility or nursing home (or one to avoid) or staying at home for as long as possible. Trust planning will keep control of the client’s assets out of the court’s supervision. Disability of a single, adult child: Almost all children have turned 18 before they go to college. In a health care crisis involving a competent single child age 18 or older, parents do not legally have any right to be involved in the care of their child and, thanks to HIPPA privacy laws, may even be unable to learn about their child’s health situation. A guardianship—which is costly, time consuming and cumbersome—may be required, unless the single, adult child has health care documents giving a parent legal authority to act for him/her. With more young adults postponing marriage until later in life, this can become a bigger issue than many clients realize. All advisors need make their clients aware of the need to have basic planning documents in place for adult single children. Lawsuits: This is mostly a concern of professionals who may be subject to lawsuits and those who have been sued before, although many clients will be concerned about frivolous lawsuits. How to handle creditor protection will vary from state to state, and whether the state has separate or community property laws and the amount of homestead exemptions. Nursing home: Many clients are surprised to learn that a will or revocable living trust will not protect their assets from nursing home costs. Even high net worth clients are concerned about protecting their assets from nursing home costs. Long-term care insurance can provide the funds to help pay for the costs of long-term care so that other assets may not need to be used. Joint ownership: Most clients do not realize that owning an asset jointly with another person exposes the property to the creditors of both. It is not unusual for a parent to place the home in joint ownership with an adult child, usually one who lives nearby. While this may have been done as a matter of convenience or to avoid probate, most do it without realizing that a creditor of the child could force the home to be sold to pay debts—negating any homestead protection the parent would otherwise have. Also, if there are other children, joint ownership with a child could become an issue of contention after the client dies. Did the parent intend for the one child to have the asset (perhaps as compensation for caring for the parent) or did the parent intend for the child to “do the right thing” and share ownership with the other children? For a major asset, the gift tax consequences to the child have to be considered, too. Some clients will be business owners who need help with implementing or updating corporate records, employment agreements, buy-sell agreements, business succession planning, key-man insurance and other business concerns. Most will not have a good plan for exiting their business when they desire to do so or death, disability or another life event prevents their continuing in their present role. All members of the advisory team will undoubtedly have a role to play here. Probate, “fire sale” of assets: As mentioned earlier, most clients want to avoid unnecessary costs and delays of probate. Probate can be expensive, especially in states that have a statutory fee schedule. Some states have simplified their probate process, but costs and delays may still be unpredictable. Advisors should know what clients can realistically expect in their state. Also, some clients may be concerned that their assets will have to be sold at heavily discounted prices to pay debts and taxes; adequate life insurance and planning can help to alleviate these fears. Privacy: Those who are concerned about privacy will need to understand that wills are a matter of public record, and trusts are private. If there has to be an estate inventory filed, that, too, is a public record that provides fertile grounds for those who would prey on a grieving surviving spouse or other family member. Liability of executor/trustee: Some may be concerned that their executor or successor trustee will be sued by the heirs or beneficiaries because they did not understand their duties or failed to do them properly. Handling the administration of an estate or trust is time consuming and does not pay much. Any nonprofessional (especially one who is not a beneficiary) needs to be aware of the duties, responsibilities and pay before agreeing to serve. Firearms: Clients who own weapons that are regulated by the National Firearms Act (machine guns, short-barreled shotguns and rifles, silencers, etc.) will need special planning. Some states have laws that regulate the possession of other firearms and clients there who own such firearms will also need special planning. Planning Tip: If you have a client who wants to make a charitable bequest, directing that the bequest come from an IRA or other retirement plan assets will benefit the other beneficiaries because the charity pays no income taxes. A charitable bequest can also be made through a beneficiary designation but there needs to be a back-up plan in case the retirement account to which the beneficiary designation applies does not have sufficient assets to meet the client’s charitable planning desire. Some clients will be concerned that they may not be able to maintain their current standard of living in retirement or fear that their assets might be completely consumed to pay for their care in the event of a disability. A financial advisor can help maximize current investments and assist the client in planning for retirement and disability. Most people are visual learners. Whenever possible, advisors need to think about how to present solutions in a visual format. Flow charts, pie charts, and diagrams that are colorful and contain short descriptions are especially helpful. Keep it simple and clear. Will the Bush era tax cuts be allowed to expire at the end of 2012 and the current $5.12 million exemption be gone on January 1? There is no way to know what will happen. As a result, clients and advisors need to be pro-active for the rest of this year and not wait on the President and both houses of the Congress to come to an agreement. The $5.12 million exemption can and should be used now. Consider irrevocable planning, but with some flexibility. A client can establish a lifetime bypass trust now instead of at death. And clients who want to maintain benefits from their assets can use self-settled spendthrift trusts, such as those allowed by the laws of Alaska, Delaware, Nevada, South Dakota, Wyoming and some other states. All advisors need to take an active role in talking to clients about estate planning. From the advisor’s point of view, there is much to gain—potential new business, strengthening the relationship with the client and the next generation, and strengthening relationships with the other advisory team members. And while a client may be reluctant or hesitant at first, both the client and the client’s family will be glad you brought up the subject.